Police are appealing for information after a robbery in Bedford on Sunday, 16 September. Between 1am and 2am two people were speaking with a larger group of men on Alexandra Road, near to the junction with Midland Road, and accompanied them into a nearby car park where they were attacked by the men, and one of the two victims was robbed. Later, at around 4am, the two victims met one of the offenders again, this time on Silver Street, and he threatened the pair with what was believed to be a knife, or bladed weapon. 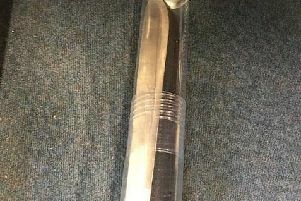 A 49-year-old man from Bedford has been arrested in connection with the incidents, and has been released under investigation. PC Jay Watts, investigating, said: “The other men in the group have yet to be identified, and we are keen to get the public’s help in tracing them. “I’m also keen to speak to anyone who may have tried to intervene in the later incident in Silver Street. Anyone with any information can contact the police using the online reporting centre or by calling 101, quoting reference 40/24882/18.